At BBCP we have Conveyor Frames and associated rollers all ex stock. 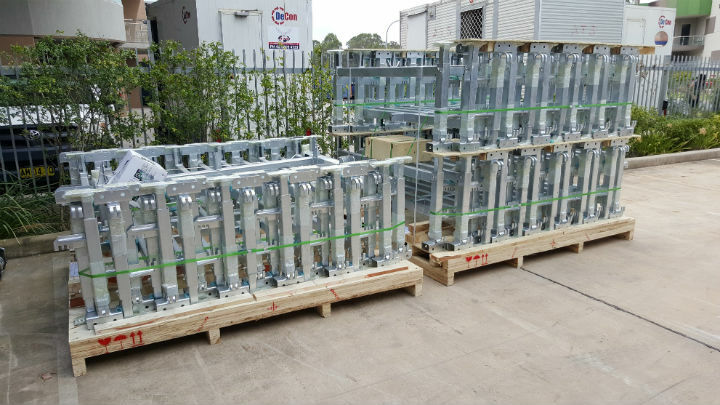 Here are 70 Frames and associated rollers being prepared for shipment to our customer. Call us on (02) 9618-9400 to find out more.